CIAN invites submissions from faculty, staff, students, and industry members for the upcoming IAB Newsletter and future CIAN blog posts. The IAB newsletter will be released bi-monthly and include updates for not only industry members, but also faculty, staff, and students. 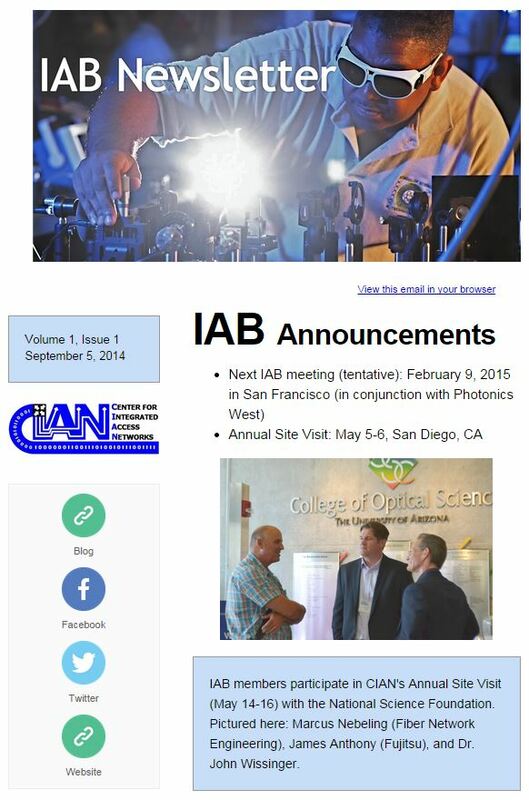 Sign up to receive the CIAN IAB Newsletter. This entry was posted in Industry & You, Outreach, Research. Bookmark the permalink.